In today’s globalized world, it is not inconceivable that one might drink coffee from Colombia in the morning, munch cashews from Vietnam for lunch and gobble grains from Ethiopia for dinner. That we can enjoy these products is thanks, in large part, to expanded pesticide use across the developing world. 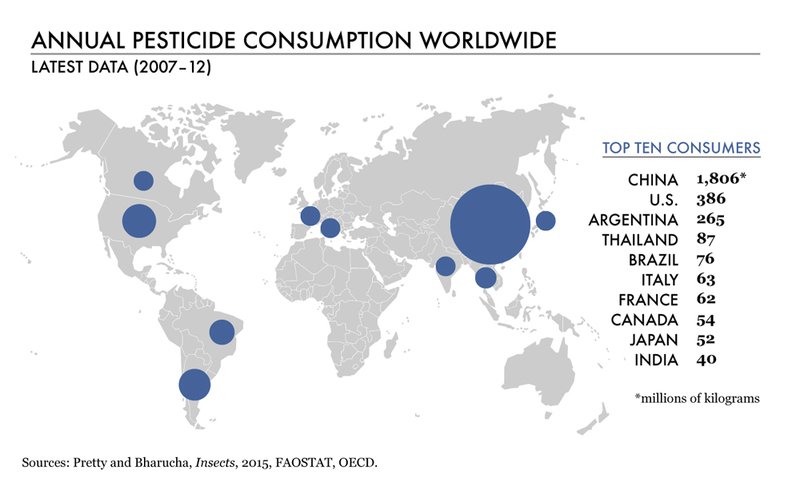 By applying chemicals designed to kill, reduce or repel insects, weeds and diseases harmful to crops, developing countries are producing and exporting more food than ever before. 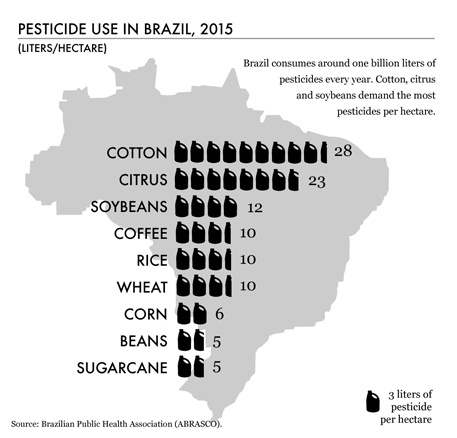 Agricultural expansion, with farmers moving deeper into areas like the Brazilian Amazon, to produce cereals, and Indonesia’s tropical forests, to grow oil palms, is leading to more pesticide use. And so is crop intensification: Boosting yields by growing more food on the same area of land inevitably leads to more pesticide use. 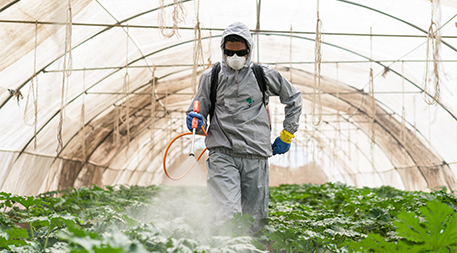 In fact, a 2012 study reported in Food Policyanalyzing FAO data from 1990 to 2009 found that a 1 percent increase in crop output was associated with a 1.8 percent increase in pesticide use. 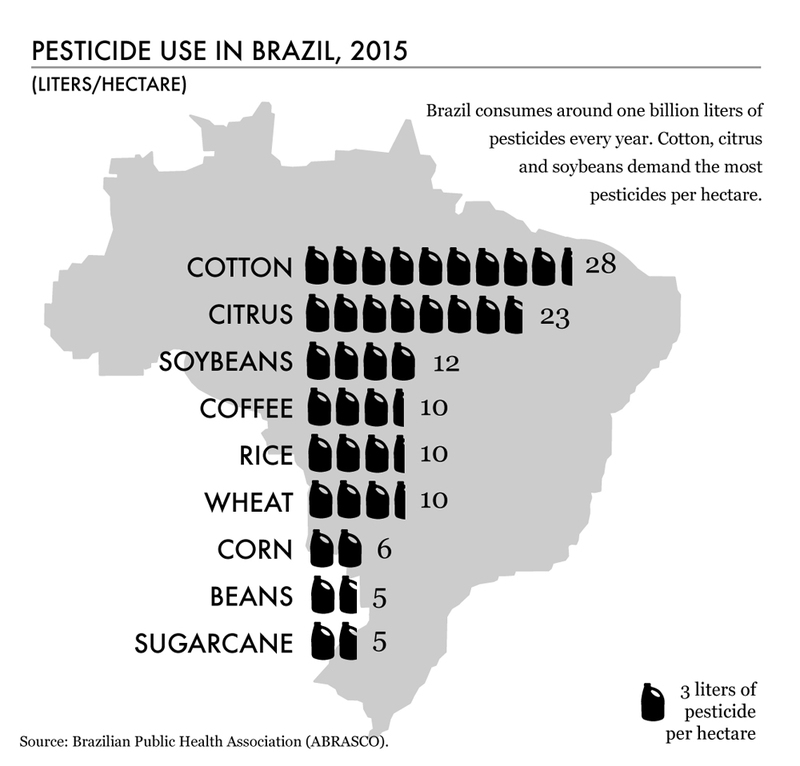 But with intensified agriculture and increased reliance on pesticides come trade-offs. Pesticides have been proven to harm pollinators like bees, according to a recent report released by the U.S. Environmental Protection Agency. They’ve also been shown to disrupt ecosystems by adversely affecting nontarget plant species, and those that mimic hormones can harm animal health. “How much is too much?” is a question with which Jules Pretty, a professor at the University of Essex in the United Kingdom, is constantly grappling. What’s encouraging is the growing evidence that farmers can lower their dependence on pesticideswhile maintaining agricultural production, sometimes by employing techniques that date back thousands of years. 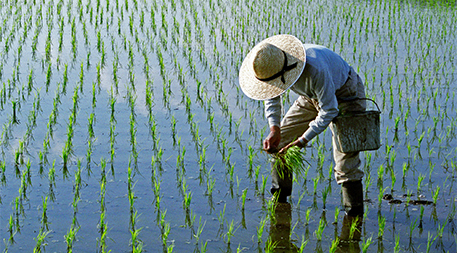 Farmers who use pesticides in China, for example, were shown through community learning programs known as farmer field schools that pests could infest their rice crops for 40 days before harvest with no effect on yield, Pretty explains. That knowledge, once transmitted and proven to local farmers, could avoid a lot of unnecessary spraying, says Pretty. But these new practices are often difficult to adopt. Farmers have to see the benefits for themselves before they reign in pesticides.